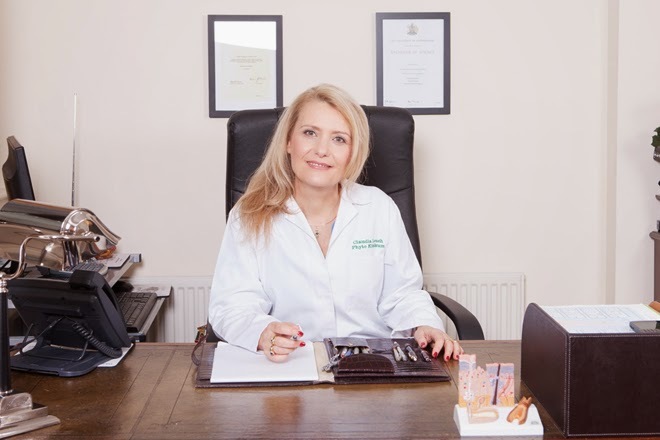 Operating from her Harley Street clinic in London, natural skin specialist Claudia Louch is renowned for successfully treating a range of skin issues from acne to eczema and everything in-between, using an entirely natural approach. We speak to Claudia Louch about treating the causes rather than the symptoms of skin conditions, looking after skin from the inside out and her top natural beauty tips. What led you to take an entirely natural approach to skincare? Having suffered from eczema some years ago I found that conventional allopathic treatments with hydrocortisones, antibiotics and immunosuppressant drugs did not work for me, so I decided to search for an alternative. I embarked on 10 years of studies in various fields to give myself a good insight into as many medical (conventional and alternative) areas as possible, including phytomedicine, pharmacology & drug discovery, human & clinical nutrition, allergy and advanced dermatology care. All of this provided me with a good insight into the workings of the human body and skin, but ultimately reinforced my belief that good skin can be created naturally, which many of my patients can vouch for now. Why do you think skin responds so well to a natural approach? We often forget that the skin is a living organ and as a matter of fact the biggest organ ‘on’ our body, which responds to external as well as internal factors. There is always a reason why our skin’s function is affected. My natural approach and primary aim is to investigate the reason why the skin has become diseased to treat the causes rather than just the symptoms, as otherwise the condition cannot be treated correctly. The key to treating any skin condition is to ‘treat it from the inside out’. Is it true you formulate your clinic’s skincare bespoke according to each patient’s needs? Yes - at the Claudia Louch Natural Skin Clinic we make every single product to each patient’s individual skin requirements; nobody gets the same treatment as the skin and condition of each person differ hugely. Natural remedies treat the skin in a very gentle away while being very effective, which works very well for many skin conditions. I formulate personally, in collaboration with my own Phyto-Pharmacy, every single skin treatment and skincare product for my patients’ use. What led to the creation of your new retail skincare line and what does it offer? The new skincare line was created upon patient demand. Many of my patients have friends or relatives who don’t have any particular skin concerns that they need to come to me to treat, but they would like to have good quality, plant-based products to benefit their skin every day. So I created the Claudia Louch Natural Skin Clinic skincare range to address the following skin types: normal, dry, oily and mature. These products are suitable for anyone who wishes not just to purchase bio-organic, plant-based facial skincare, but also to benefit from high quality, medicinally-active natural ingredients that are proven to enhance specific skin types. What are your top natural beauty tips? Treat you skin gently and with respect. Never use face washes containing SLS (a harsh foaming agent). A good skin analysis performed by a skin professional is always worth your while, as this way you will know what skin regime is most suitable for you. Use water-based rather than fat-based face creams, as those are better absorbed into your skin. Never use products containing parabens - a preservative that may cause skin reactions, or Methylisothiazolinone - a powerful biocide. Always remove make-up at night no matter how late it is, otherwise you will get more lines and wrinkles later on. Never use concealer under your eyes. The skin under your eyes is thinner and more delicate so if you want to reduce the risk of lines or wrinkles later in life, hydrate the eye area well but avoid concealers. whoah this blog is excellent i really like reading your posts. Stay up the good paintings! You know, a lot of individuals are searching round for this information, you can aid them greatly.